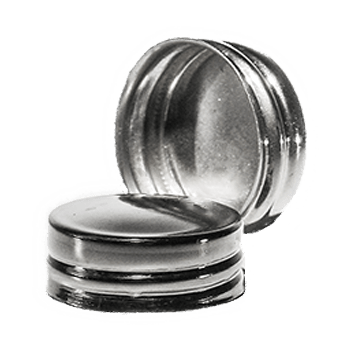 The threaded screw cap is designed specifically for our threaded containers. The simple design is sleek and helps the package to shine on retail shelves. Available in nickel only. Currently this cap is not available for purchase in our online store, but to assist you with testing, samples can be requested by clicking the free samples button on the right.